Whether we're responding to a natural disaster affecting the community or helping a property owner through the aftermath of flooding or a house fire, Paul Davis franchisees are committed to a business model that values the customer and the work we do for them above all else. It is a business built on relationships with both insurance adjusters and policyholders, and one that provides a service that is always in demand. In fact, Paul Davis Network sales increased 226% from 1999 to 2009. Average franchise unit sales over this same period increased 194% for operations in business for at least two years. Name Paul Davis Restoration, Inc.
cGeneral Manager Stephen Rotay established Paul Davis Restoration & Remodeling in the Central Pennsylvania area in 2000. He founded his franchise office to maintain and provide a high quality of service and expertise to Paul Davis customers and the insurance industry, and focuses on giving back to the community. Today, the local franchise services seven counties (Adams, Berks, Chester, Dauphin, Lancaster, Lebanon, and York) and is recognized as a leader in the area’s restoration service industry, being honored as the #1 Restoration Contractor by the Central Penn Business Journal in 2009. We believe that our company is built upon the value of delivering what is promised and that our resiliency is based on our unceasing quest for continuous improvement. We are a company that turns crisis into calm. We are a company that turns dreams into realities. 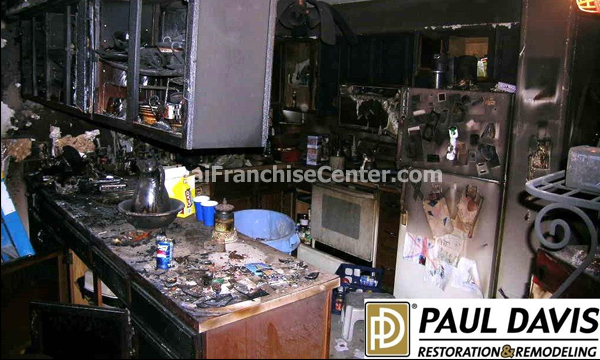 Paul Davis invented the category of Insurance Restoration Contractor. Paul Davis was the first contractor company to use computerized estimating for its insurance restoration work. Paul Davis was the first to introduce line item unit pricing. And Paul Davis, most proudly, was the first to partner with insurance carriers. Paul Davis was the first company of its kind to offer a performance warranty. Paul Davis was the first full-service Insurance Restoration company to have a national presence and the first to offer an integrated electronic solution claim package called E-Services. Paul Davis was the first national mitigation company to offer a “Dry in 3” days guarantee for water losses by utilizing the latest in technology and drying sciences. And Paul Davis was the first to meld restoration and remodeling. Our heritage is one of imagination and of learning through experience. Our corporate structure focus on the development of programs and operational support, and our franchise network focus on delivering services into the communities, towns and cities of the United States have created a synergy of excellence, expertise and experience that is second to none. Our passion for quality drives everything we do. Our story is one of our people, our products and, most importantly, our customers. We have no business, and no tomorrow, without our customers. Our story is the story of us together. & Services When experiencing a loss, you need more than an ordinary contractor to restore your property. Paul Davis Restoration and Remodeling is an emergency service and restoration company that specializes in controlling the emergency at hand. From the stabilization of both residential and commercial buildings through the reconstruction process and even debris removal, Paul Davis offers the rapid response and quality service that provides peace of mind in a time of crisis. 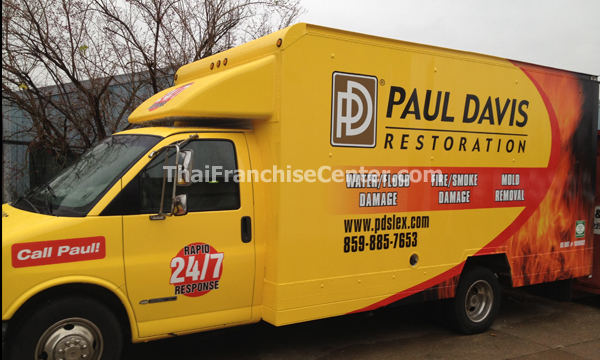 Franchise fee:$36,000 (Paul Davis Emergency Services) or $75,000 (Paul Davis Restoration). Total investment range:$143,388 - $239,774. Net worth required:$100,000 (Paul Davis Emergency Services) or $300,000 (Paul Davis Restoration). Contact Paul Davis Restoration, Inc.